As the Chehalis told it, the Sasquatch lived in Mount Morris, having been forced out of the plains. At night, the Chehalis people would see the fires the Bigfoot set in the mountain so that they could look over the lands they lost to the tribe. 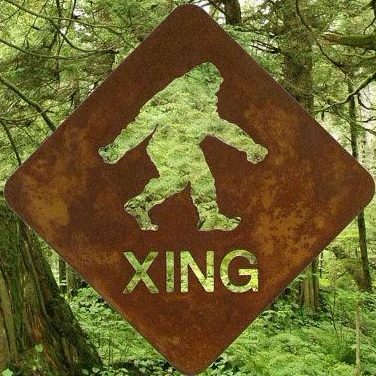 Sometimes, a few of the Bigfoot would come out of the mountain and mess with the Chehalis people, but it was nothing the Chehalis couldn’t handle. It was during one of those times when Seraphine Long found herself caught in the middle it all. Seraphine was just 17 in 1871. She was out and about, doing things that every 17 year old Chehalis girl did when her life took a drastic turn. From out of the woods surrounding the mountain came a Sasquatch. The Sasquatch, as Seraphine told it, snagged her up and carried her into the woods. Once they were deep in the woods, the Sasquatch covered her eyes with pine pitch so she could not see. The Sasquatch took Seraphine to a cave where other Bigfoot were hanging out. As far as Seraphine could figure, these other Bigfoot were the parents of the one who took her. For a year, Seraphine was held by these Bigfoot. She was, in essence, the property of the Sasquatch who took her from her home. Seraphine said that the Sasquatch was kind to her, and that there was a mutual love between them, but her not being a Bigfoot, she found the life of a Bigfoot to be real difficult. Seraphine became sicker and sicker as throughout the year. Adding to her health issues, she became pregnant. The Sasquatch that had taken Seraphine covered her eyes in pine pitch again, picked her up, and brought her to the edge of the woods. He set her free, allowing her to return to her people. Seraphine was stoked to be home, and her family was just as equally stoked to have her home. Seraphine was so stoked that she went into labor. That night, Seraphine Long gave birth to a human/Bigfoot hybrid. The baby lived for only a few hours. When Seraphine told her story to J.W. Burns, she was well into her 70s, which may be why Burns didn’t push for too many details regarding what was surely a terrible experience for the woman. Seraphine Long passed away not long after telling her story to Burns.